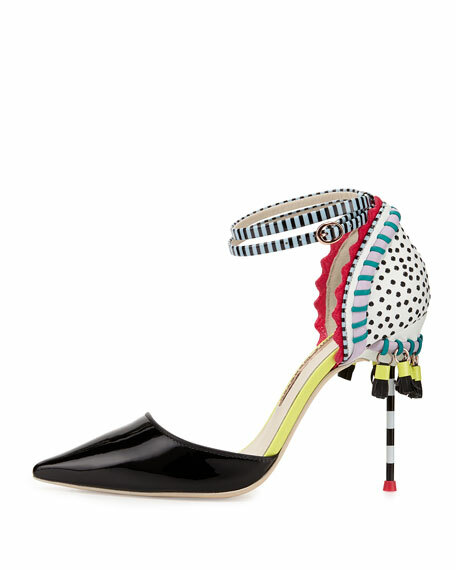 Mixed prints and a sharp silhouette shape this statement pump from Sophia Webster. 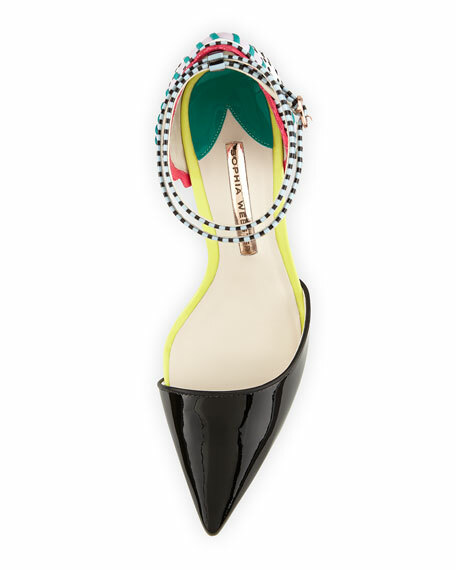 Sophia Webster calf leather sandal. 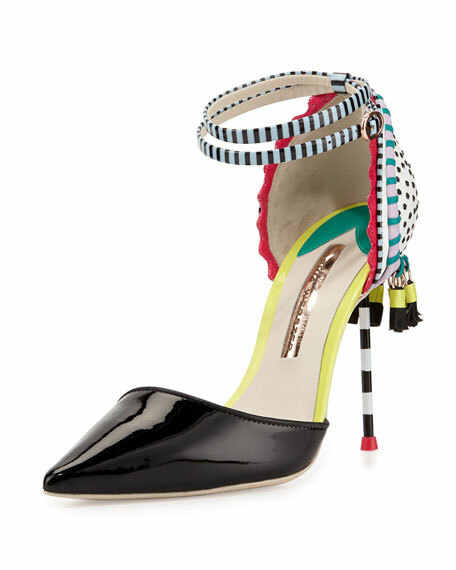 4" striped heel with tassel trim. Embroidered dots at heel counter. "Xavier" is made in Brazil.